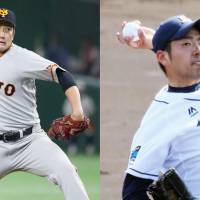 On Friday night at Tokyo Dome, the Seibu Lions and Yomiuri Giants each sent their ace to the mound, creating a marquee matchup of the Lions’ Yusei Kikuchi vs. the Kyojin‘s Tomoyuki Sugano. Sugano, conversely, had a rough night. The right-hander was taken deep on his third pitch of the game and allowed five runs — four earned — in five innings. Sugano, who struck out three and walked one, is 6-4 with a 2.30 ERA this season. Kikuchi said he’d expected a big crowd at Tokyo Dome, but neither that nor the matchup against Sugano was enough to throw him off course. Kikuchi, who improved to 7-0 and lowered his ERA to 2.95, is expected to be the first of the two to reach MLB. Some think it could be as early as this offseason via the posting system. Kikuchi, a 26-year-old left-hander, is in his eighth season and has a 66-42 career record and 2.72 ERA. His career walks plus hits per innings pitched is 1.17 and averages in the upper 140s kph (low 90s mph) with his fastball. If he decides to make the jump the 26-year-old, who calls Dodgers pitcher Clayton Kershaw his favorite player, won’t lack for suitors. Sugano has had a more consistent career. He’s in his sixth season and is 67-37 with a 2.19 ERA. Sugano has been fairly durable, with 966⅓ career innings pitched (Kikuchi has logged 902), and the 28-year-old has a career 1.02 WHIP. Friday just wasn’t his night. “It’s my fault that we lost,” Sugano told reporters afterward. If Sugano harbors MLB aspirations, he may have to wait until at least 2021, when he could earn international free agency rights, as Yomiuri doesn’t post players. As Friday’s turnout showed, the pair remain firmly on the MLB radar. There was a similar sentiment about Sugano. 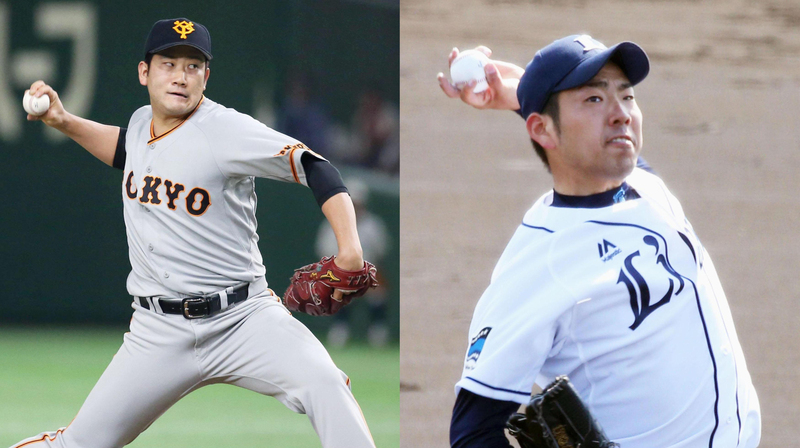 Even with teams locked in on Kikuchi and Sugano, the early showings by Ohtani, before a UCL sprain sent him to the DL, and Hirano in MLB already has scouts looking to see who could potentially be next.